Gosh how remiss of me, I have just realised I have neglected to share with you some of the garden flowers I have picked for display in the house this year. I have had some Sweet Peas and Sweet Williams in a vase or too, although the Sweet Peas have put on a poor display, so far. 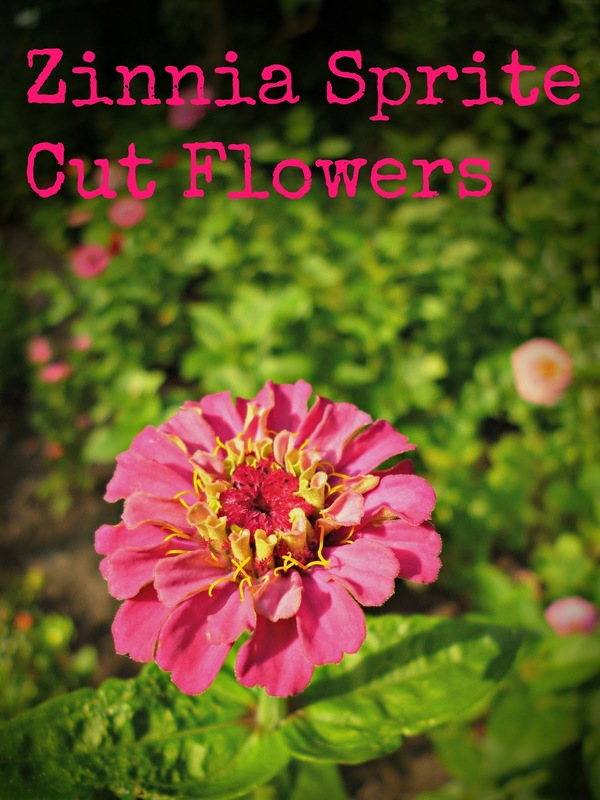 I have purposely grown some new variety of flowers for cutting this year. After a slow start the Zinnia Sprite are putting on quite a display and ready for cutting. I am still waiting to see something special from the Asters, which have not grown as I had hoped. We have had some rather wet weather of late and I knew we were in for some pretty terrible downpours the next day. 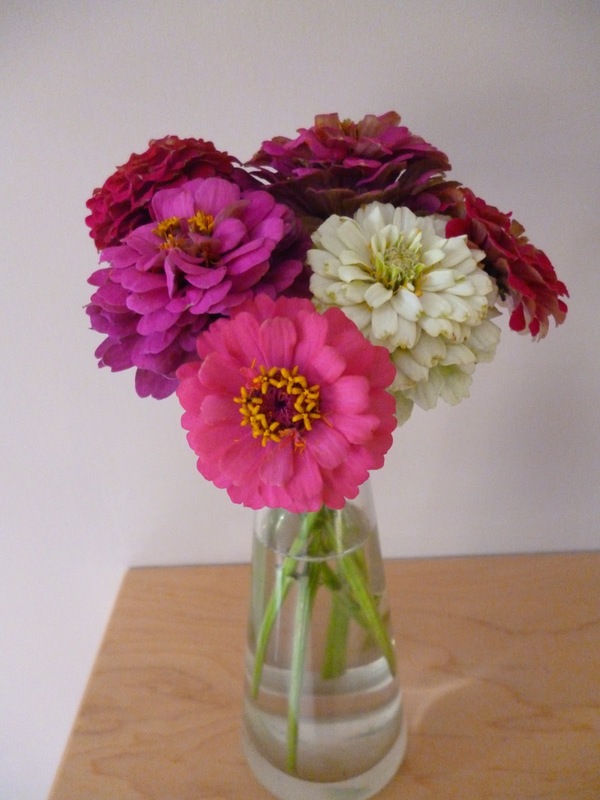 I thought I would rescue some of the Zinnias before the rain struck. I am so glad I did, what a storm we had in Shropshire yesterday evening - thunder and lightning! 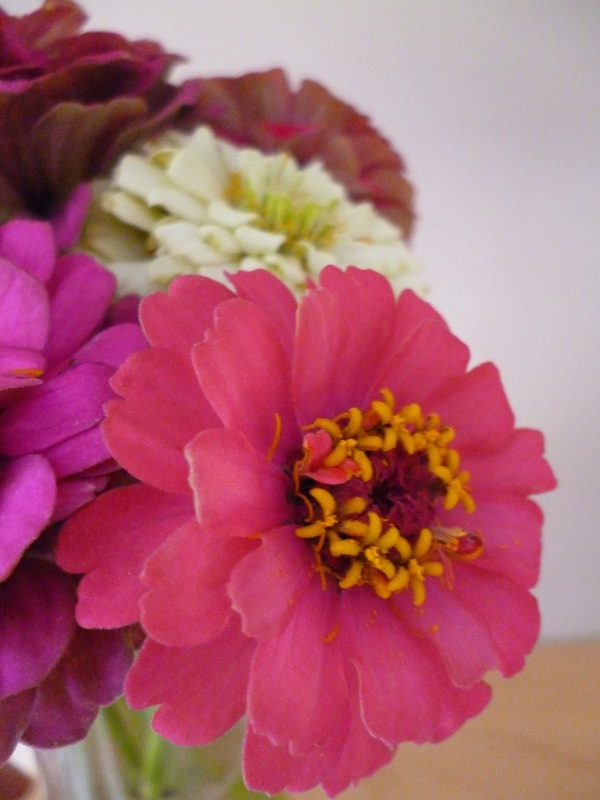 I will leave you to enjoy the Zinnias. Have you grown any flowers this year? What are your favourite? First glance I thought the flowers were fake! 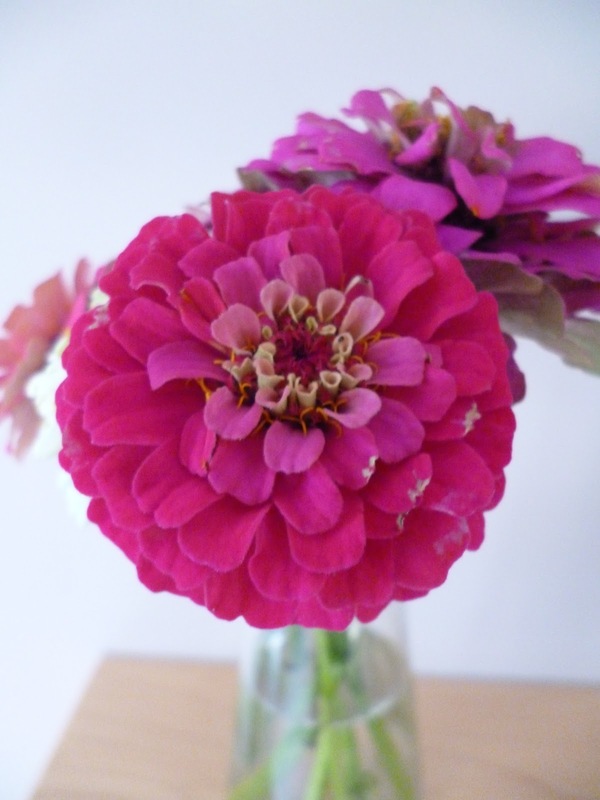 How beautiful are they, I must try and get some Zinnia seeds for next year.